Looking for ways to prove how your social media work has impacted your overall sales? Here are our top tips on where to look and what to look for when reporting on social media activity. Tracking UTM code is a free way to prove the value of the links you share on social. The UTM code adds some additional information to any link you create that gives additional specific information about the link, and in the case of social media, the platform or campaign you're running. Rather than spending time digging through Google Analytics reports to find out where people came from, UTM codes tell you the whole picture upfront including platform, type of traffic and the specific campaign you were promoting that got them there. Campaign: The specific campaign you were promoting that got them there. Recently, Sprout Social released this guide to why UTM tracking is great for social ROI. 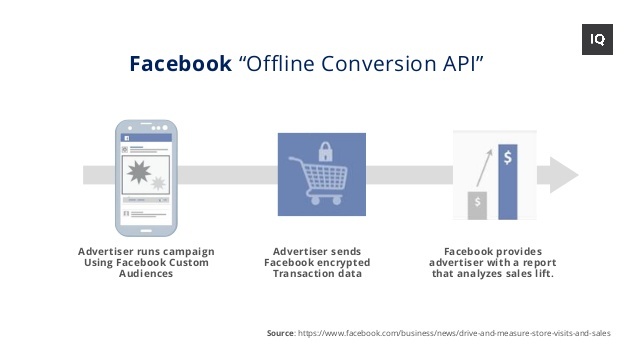 Facebook’s offline conversion feature measures in-store purchases as a result of online activity - e.g. a supermarket purchase made as a direct result of a social media campaign. This means there is a real way to measure that your Facebook advert had a direct impact on the purchase. This method relies on data captured at the conversion level. Facebook will then compare the data you collected with its users' data to show which of these offline conversions occurred after the user clicked or viewed your ad. Based on that, you will easily see which ad is the best converting. There are some limitations. Facebook sets a maximum of 62 days to upload the data back to its environment. In order for Facebook to correctly process this information, you should upload all conversions within a maximum of 90 days from the day the user interacted with your ad. Unlike some other marketing channels, you can’t always expect direct conversions from social media. In addition to direct conversions, you can measure assisted conversions on Google Analytics - which is the best way to identify the overall impact of a social media campaign as it measures the total number of conversions that lead to the final conversion interaction. You can also use Google Analytics to measure the number of sessions of your website’s referral traffic, separated by each social platform. An additional attribution tool is the Facebook pixel which tracks conversions from Facebook ads, Instagram and Audience Network. Using Facebook’s Ad Manager interface, you will be able to track the number of people who converted - classified as whatever the last action is that you want the user to do. This can be a range of things from basket purchases to form submissions. Using a Facebook pixel also allows you to keep track of the audience, even when they are using different devices such as mobile and desktop. You can track an audience that clicked on the ad on their desktop but then converted later using a phone. How Can Social Media and Sales Work Together? Social media is a great way to amplify new products and offers. However, in order for everyone to work optimally, the sales teams in any business must stay on top of the promotions so they can respond to the leads timely and efficiently. It helps to use a shared calendar programme, like CoSchedule, so everyone has visibility of your business priorities and social media content. Social media platforms are adapting to the ecommerce way of working, including introducing easier ways to make purchases directly off the channels. These include Instagram shopping tags, which are new this year and allow people to click through and buy products that are featured in posts and stories. There are a number of social media listening tools which allow you to tap into conversations across the internet. By assessing the sentiment around your brand or product, you can gauge whether your social media campaigns have had a direct impact on brand awareness, which can be linked to sales activity. Social media has allowed customers quick and direct access to brands, and is fastly becoming the most go-to form of customer service. In fact, research by Ambassador revealed that 71% of consumers who have had a good social media service experience with a brand are likely to recommend it to others - proving that a good community management plan can see a direct impact on reputation and as a result, sales. Use data to assess your social media performance and tweak accordingly. Social media advertising creates opportunities to test multiple ad sets and audience variations to find the optimal settings, so use your findings to shape your social media results and ultimately analyse your ROI. If you would like to speak to us about our social media services then please give us a call on 0115 921 4636 or use the contact form.